At TASCHEN, it is our pride and privilege to collaborate with some of the greatest art masters of all time. We work to give each of these artists the respect and top treatment they, and our readers, deserve. We spare no expense in presenting an artist’s work in the best possible light, and often have paintings newly photographed with state-of-the-art technology so that their reproduction in our books is as close to the original as possible. 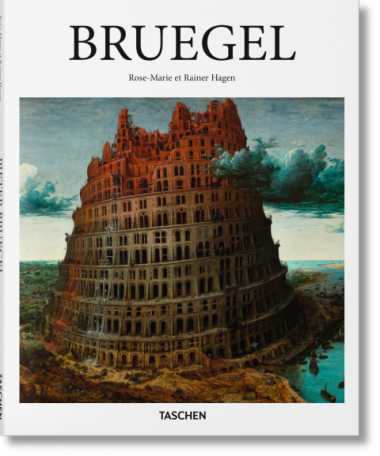 In the case of Bruegel: The Complete Works, we had 16 out of 40 existing paintings as well as many drawings newly photographed, working with some of the most esteemed museum collections in the world, including the Kunsthistorisches Museum and the Albertina in Vienna, the Gemäldegalerie in Berlin, the Prado in Madrid, the Frick Collection in New York, and the Timken Museum of Art in San Diego. 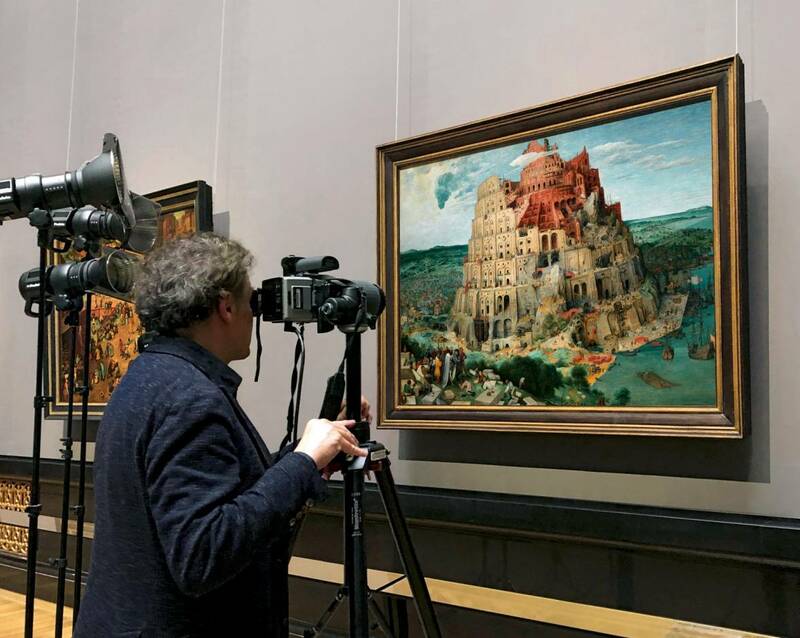 The Tower of Babel (pictured here) was photographed in the Kunsthistorisches Museum in Vienna. Preparing this masterwork for its photo shoot requires all sorts of painstaking additional measures, preparations, and precautions. Due to the extensive technical and logistical requirements involved in such photography, it can only take place outside the museum’s opening hours, or if the curator can close the particular exhibition gallery. In the case of Bruegel, the paintings could not be removed from their frames, so our expert photographer Luciano Romano had to apply complex techniques, like cross-polarization, in order to avoid unwanted reflections in the protective glass. Once the photographs are complete, our production department compares them to the original paintings to ensure that all colors and details are reproduced with optimum accuracy.